A sophisticated young woman, Patricia Talbert, unexpectedly inherits a ranch from an aunt and uncle she barely knew. Because of a misunderstanding years ago, a rift developed between her now-senator father and his Texas-rancher brother. Yet now her uncle has bequeathed his ranch to his niece. 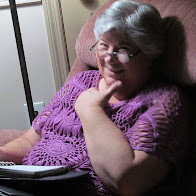 Patricia must make a decision, to sell the ranch and disrupt lives, as she planned before her arrival, or to work out a solution with the people at the ranch, people of the land, strongly rooted in the word of God. Has her time away from her roots, working for her father, the senator, destroyed her sense of integrity? Will she allow her superficial belief in God to grow or will she remain disillusioned and distrusting? As she struggles with her conscience, she asks the attractive foreman, Talon, to teach her bull riding, a strange way for her to work through her faith. Yet the challenge allows her to see life in a new way, from atop the swirling power of a bull. And allows her to see even difficult challenges may lead to great fulfillment. 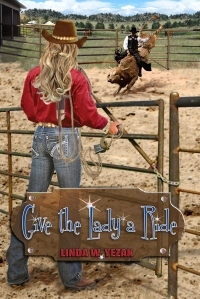 Give the Lady a Ride is peppered with characters learning from each other--learning more than how to ride a bull, learning more than love comes at unexpected times in unexpected places, but also learning to rely on the guiding hand of God. Put on your chaps, clamp that cowboy hat down, hold on tight. Get ready for a Ride. The book is available at 777 Peppermint Place—Linda’s website. What’s J.K. Rowling’s Secret to Success?